Most Pokemon fans are wondering where the Legendary Pokemon are in Pokemon Go. While the game's current Pokedex shows up to 149 spots, many have wondered where Mewtwo will appear in the game. We have our own theories on that subject, but we have found out exactly what Mewtwo and the other Legendary Pokemon look like in Pokemon Go. 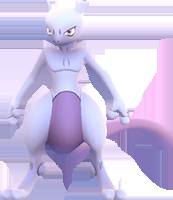 A recent data mine of Pokemon Go revealed the above image, showing what Mewtwo's Pokedex picture looks like in Pokemon Go. 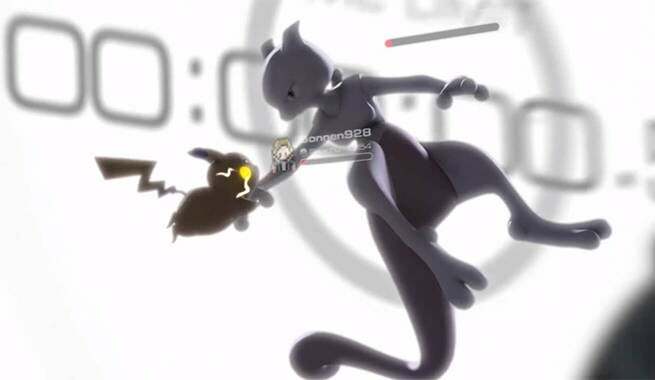 Although Mewtwo looks no difference than he does in other Pokemon games, it's nice to know that Niantic does have plans for one of the most powerful Pokemon of all time. Of course, showing this image means that we'll soon see plenty of Photoshops of people claiming that they found the Pokemon under some truck on some distant dock, but it's a step up from all the previous Photoshopped Pokemon Go images that used Super Smash Bros Melee's Mewtwo to trick gullible players. Pokemon Go is out in the United States, Australia and New Zealand. No Mewtwo has been found in any of those countries.